The biggest problem with hair dyeing is the hair root that grows. If you are dyed with a light color with a particularly contrasting contrast, the black hair root has a more sense of existence. How to make the black hair roots not so "eye"? We have 7 suggestions so you don't have to visit the barber shop as often. Through styling techniques or with hair products, we can keep the dyed hair longer, then look down. For the hair roots that grow after dyeing, there are special products to deal with. The Color Wow's hairy concealer looks like a make-up box, which is actually a specially formulated powder to cover dark or light hair roots. 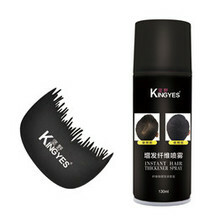 After the hair is dry, apply the powder to the hair roots with a brush to modify the hair roots that grow. If your hair style is split in a certain position for a long time, it will make your hair look flat, and the flat hair will make the dark hair roots more obvious. You can try to confuse the traces on the other side of the head to make the new hair root look less obvious. 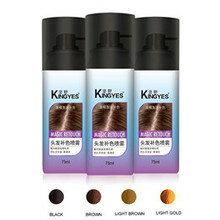 Dry Shampoo is now also available in a coloured, hairy concealer spray with five colors, black, dark brown and light brown. 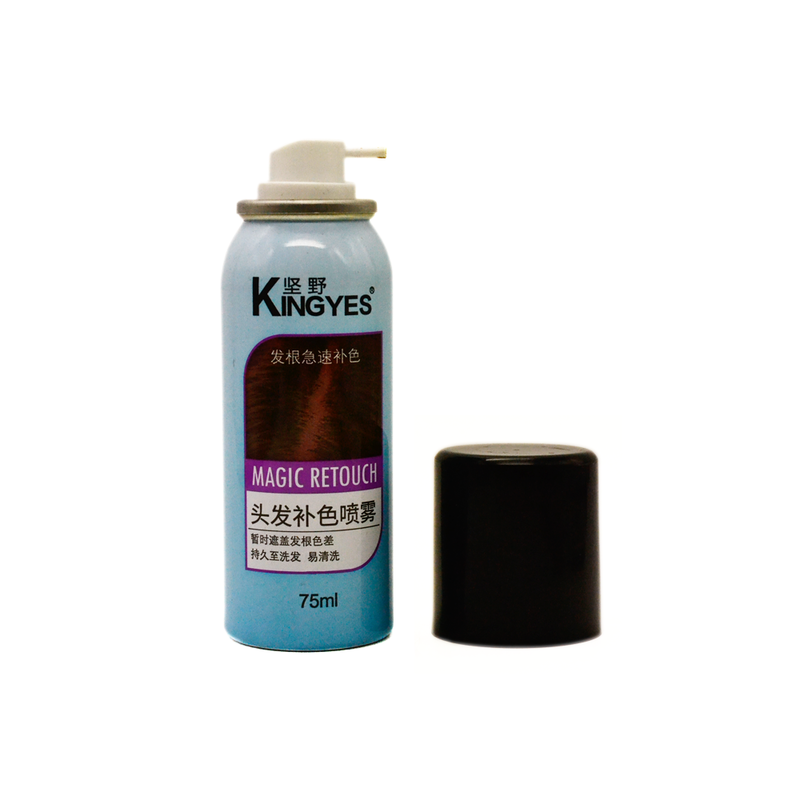 In addition to covering the undyed hair roots, this mist spray can absorb water and absorb sweat. If you can make a French style, try to weave a hairpin along the hairline, which is a good way to camouflage the new hair roots. If your hair is long enough, the milking girl's hair bun is another good choice to cover the hair roots. If you have ever thought about temporarily covering your hair roots, then a disposable hair dye product is also a good choice, and a hair comb can protect the scalp around the hairline. A quick way to cover the hair roots is to tie a classic hair band, headscarf or scarf. In addition to covering the hair roots, you can make your shape become modern. It is also not impossible to dye the hair roots yourself. 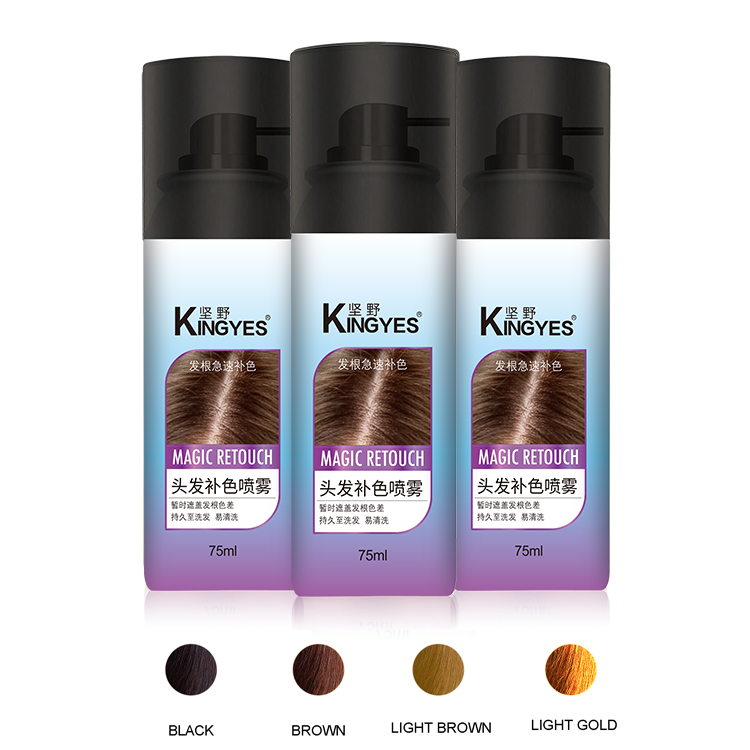 Some hairdressing brands have launched a complementary dyeing product for hair roots, so that you can replenish hair roots at home.